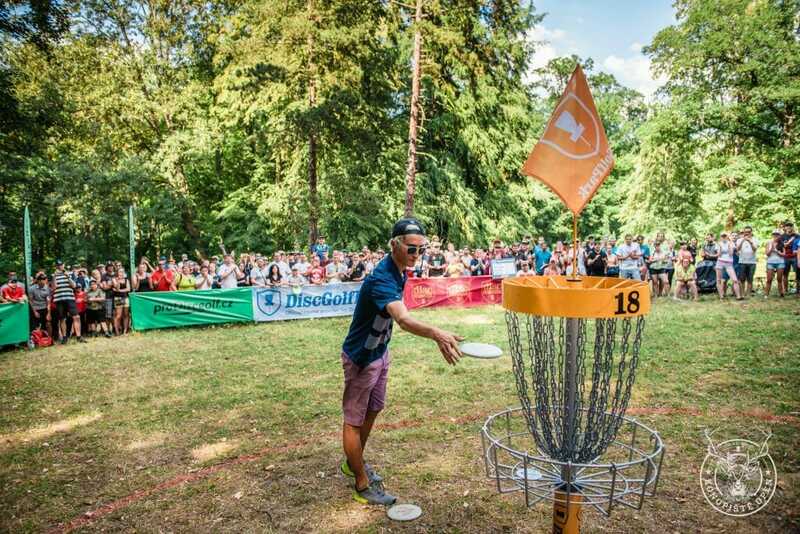 That was Eagle McMahon’s average rating over four rounds at the first PDGA Major of the season, the Konopiště Open. It’s the third-highest average rating in a four-round PDGA Major ever. Just in front of McMahon with the second highest average Major rating is…McMahon, who averaged 1065.25 at last year’s Aussie Open. In first is Ricky Wysocki, who incredibly beat McMahon at the 2017 Aussie Open by averaging 1067.25 rated golf in a showdown that was decided on the last hole of the event—a hole where McMahon lost a one-stroke lead by throwing OB on an island hole after seeing Wysocki park his throw in the bullseye. This week, McMahon didn’t give anyone a chance to pressure him on the last hole. It shows the magnitude of the lead McMahon had created for himself that Simon Lizotte was looking to go 17-under par if he birdied the final hole, and McMahon—if he had felt like rubbing it in—could likely have jump-putted his way down the 136-meter (446-foot) downhill fairway and still won comfortably no matter if Lizotte put it in the bullseye or not. Lizotte missed the birdie on 18 with a putt that was just a tiny bit to the right and skipped out off the basket rim. After McMahon laid up his putt for the tap-in par, he ended with a 58-under par 210, five strokes over Lizotte’s second place 53-under par 215. Paul McBeth, who started the day on the chase card, and one stroke back of third place then shared by Seppo Paju and Will Schusterick, shot a bogey-free 14-under par 53 to finish at 49-under 219. He beat out Paju’s 47-under par 221 to snag the last spot on the podium. Wysocki also did a little climbing, moving from sixth to fifth, leap-frogging Will Schusterick whose 5-under par 62 fourth round was well off his pace from the rest of the weekend. Wysocki finished with a 44-under par 224 and Schusterick with a 41-under par 227. Speaking more specifically about his round, McMahon was proud of how he handled himself under pressure. Lizotte, McMahon’s Discmania teammate, was also satisfied with his performance, though a little wistful about having to settle for tying the 16-under par 51-course record set earlier this week by McMahon and Wysocki when he had a very viable chance to beat it. The eagle chance Lizotte is referring to was a look from well outside of Circle 2 on a 302-meter (990-foot) par 5. When I asked Lizotte whether he enjoyed his round despite not quite achieving the 17-under, he was positive. Lizotte also said that his inflamed wrist, which had been troubling him all week, hadn’t bothered him at all during the final round and he only notices something is still a little off if he consciously attempts to notice it. It speaks to the scope of McMahon’s dominance this week that even the famously relentless McBeth went into the final round not really thinking about the win. When asked if he was happy to have reached the podium, McBeth smiled and shrugged. Though it was clear reaching the podium would have meant a lot to the fourth-place Paju, he seemed extremely satisfied with his tournament performance — the highest Major finish of his career. 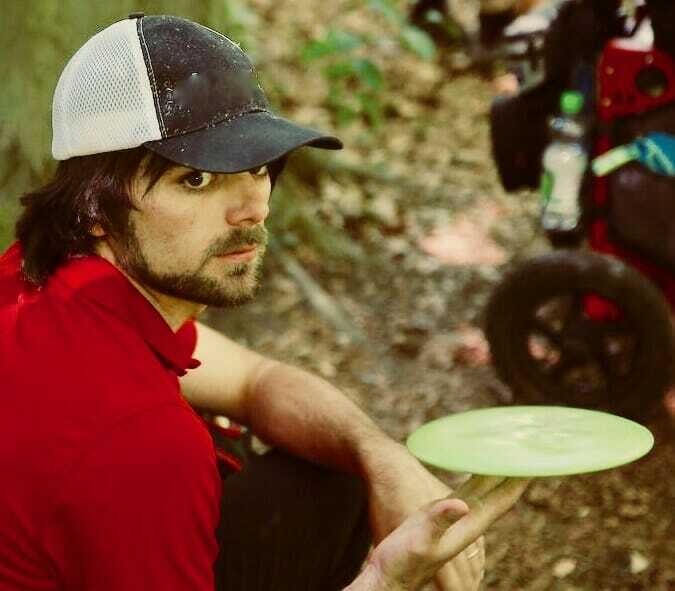 He then spoke about his battles with nerves, reiterating and further addressing comments he made to Ultiworld Disc Golf about his second round. When looked at as a whole, the Konopiště Open has served as something of a coming-out party for a number of Open players even though there have already been plenty of important tournaments this season. McMahon has certainly piled up big wins already this year, but this is the first one where he has asserted himself as an almost untouchable force. Paju has played well—finishing in the top 10 at the Beaver State Fling and The Memorial—but this finish shows him beginning to find his true potential. And, finally, though Schusterick slipped in the final round, his steady play through the tournament’s first three rounds indicate that he’s starting to return to the form that won him three U.S. Championships and made him a fixture on high-profile lead cards. Unfortunately, none of them are competing in the two events where most of the big names are next weekend: the Idlewild Open in Kentucky or The Open in Ale, Sweden. Still, with more and more players showing just how competitive they can be, this perhaps portends a new trend for top players: being more selective about which top-events they attend to find the right combination of rest and preparation for the biggest events on the calendar. It makes it even harder to wait to see what will happen when they all converge in Vermont for the PDGA Professional World Championship in September. Comments on "McMahon Captures First Major Title At Konopiště Open"